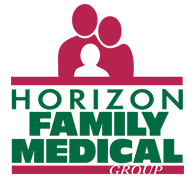 The words “enterprise” and “enterprising” really do define Horizon Family Medical Group (HFMG) in terms of its size, range of specialties, procedures performed, and its philosophy and approach to healthcare and its commitment to HFMG’s patients. HFMG has 40 office locations throughout NY’s Hudson Valley region with approximately 600 employees, and 120 providers in primary care, and in specialties spanning allergy to women’s health. HFMG is designated as a patient centered medical home (PCMH), Level 3 by the National Committee of Quality Assurance, an honor given to less than 20% of groups nationwide. HFMG’s full-functioning patient-engagement website provides access to their patient portal, patient surveys, patient information, news and practice events, and it contains links to interesting and informative information. It was the committed vision of ten Hudson Valley physicians in 1999 that gave rise to what is today HFMG. The physicians envisioned a broad-based regional healthcare resource that would encompass both primary and specialty care. Many of those visionary physicians are still with HFMG today. MedicsPM from Advanced Data Systems (ADS) is the system that ties HFMG’s multiple offices together making scheduling and coordination as effective and efficient for both patients and staff alike, and for handling HFMG’s comprehensive EDI and reporting needs. MedicsPM manages the demographics of HFMG’s entire multi-thousand patient databank. There’s not a single duplicate patient record across the enterprise thanks to the system’s incredibly powerful database that displays potential duplicates as new patients are entered. And, MedicsPM’s built-in master patient index (MPI) architecture ensures users always identify the exact patient needed. ADS maintains an extraordinary, nearly 99% success rate on first-attempt clearinghouse claims as reported by Change Healthcare™ (formerly Emdeon™). The HFMG Billing Team can relate to that in how the vast majority of their claims go through on first pass. MedicsPM makes the process of billing secondary and tertiary insurances effortless as they are submitted electronically once the primary insurance payment has been posted. The system also automatically creates patient statements once all insurance payments have been posted to the account. The HMFG Billing Team likes how patient statements produced by the system clearly show charges and insurance company payments, visually outlining how the patient amount due was arrived at. And, how the patient amount due on first-time statements to patients are shown as “current” regardless of how long it took HFMG to be reimbursed by insurance. Mr. Olver commented on how HMFG couldn’t possibly calculate the time this alone has saved in terms of patients not having to call for explanations as to why they’re past due, even though it’s their first statement. MedicsPM automatically downloads HFMG’s patient statement data for outsourced statement production and fulfillment, eliminating the need for staff to produce, fold, stuff, seal and mail their huge number of statements. The MedicsPM scheduler is used by HFMG as a fully-functioning management tool not only to schedule patients, but to manage workflow and eliminate bottlenecks, to ensure that diagnostic equipment use is maximized, to and to make certain providers are seeing patients efficiently with minimized “dead space” time. “The scheduler is smart in that we have preset visit times based on visit reasons, also taking into account whenever technicians, PAs or other practice resources are needed for certain appointment types. If so, the scheduler will automatically account for that. A variety of alerts are displayed on appointments giving us needed information on patients and / or on their appointments,” noted Rinku Singh, HFMG’s IT Group Leader. HFMG also uses the scheduler to batch verify patients’ insurance coverage prior to their appointments. In that way, the scheduler is actually a revenue producer, preventing situations where services are performed only to find out later about coverage issues. As an enterprise operation, HFMG relies heavily on accurate data, reports, and analytics, and MedicsPremier produces exactly that. Administrative, operational, financial, billing and scheduling staff can all configure and save their own reports and report parameters, and schedule their reports to compile automatically on certain days, every day, multiple times per day, and at specified times of the day. “We use MedicsPM analytics on a variety of subjects to compare current data with previous time periods in an effort to constantly gauge how we are doing in the particular area of operation. Reports are also used to track payer performance, as a guide to see what other payers would have paid on the same procedures, and how quickly they would have reimbursed, and can analyze which payers are likely to reject claims based on past performance. When things like that are doable with your data, you can approach your payers differently when it comes time to renegotiate their agreements,” Mr. Singh said. On the security side, HFMG is confident in knowing that MedicsPM patient data is encrypted per HIPAA’s most recent requirements during claim transmissions. The system’s built-in audit trail continually operates in the background; it’s frequently referred to by the administrator and managers for reviewing system use by users. Transactions, postings, edits, appointment scheduling / rescheduling /cancelations and more are all performed under the audit trail’s ever watchful eye. "Our experience with ADS, from implementation to system training, from EHR integration to support and updates, have all met or exceeded our expectations."